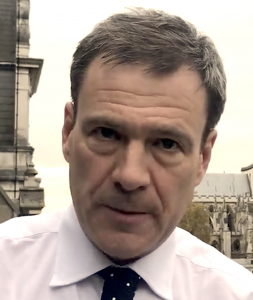 Funding for the ‘ARUP’ viability study (read about the study) will not be forthcoming from local or central government due to the apparent influence of the islands’ MP to prevent a fixed link. 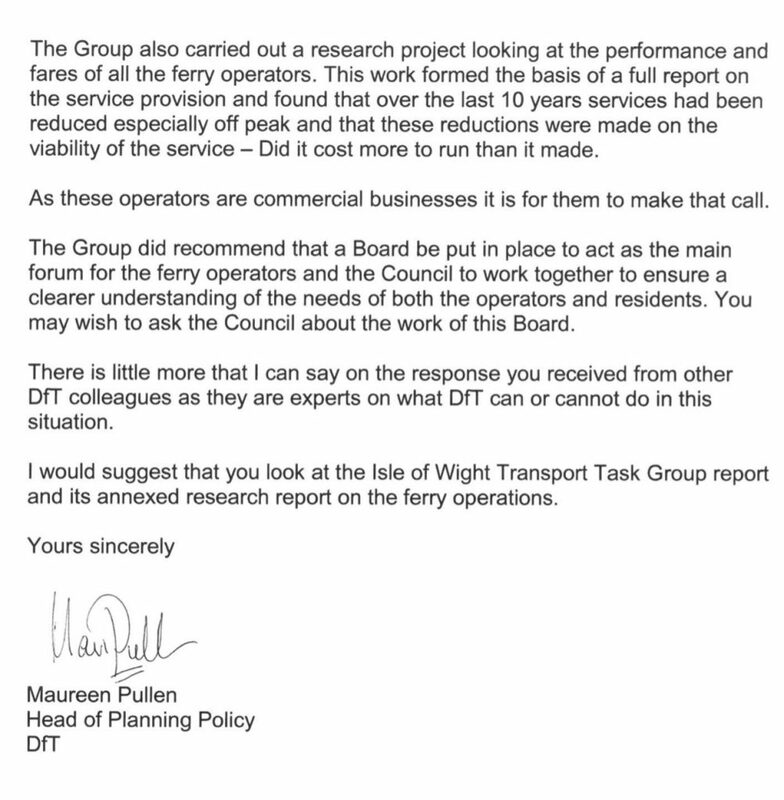 This letter above is from DfT – head of planning Maureen Pullen. 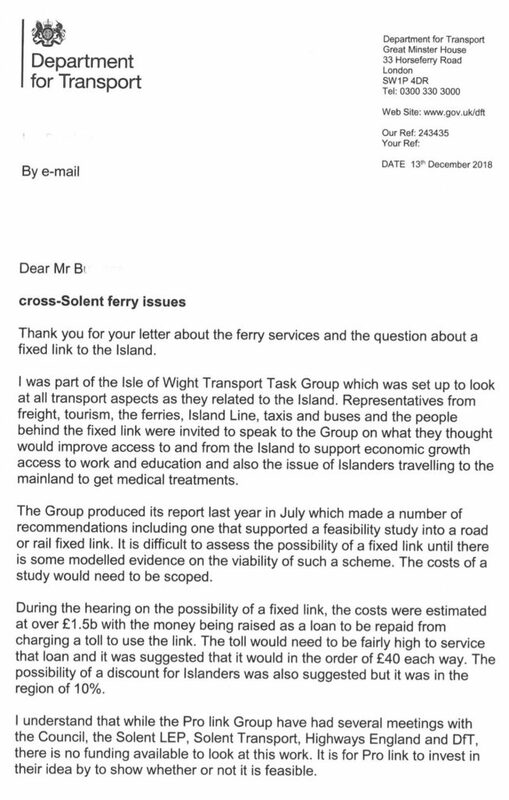 Maureen was a Stakeholder in the IOW Transport Infrastructure Taskforce that Pro-Link presented to in September 2016 (read more). The information in the letter’s 5th Paragraph is now two years out of date. The Taskforce ultimately recommended that a fixed link study be carried out (read more). However, it appears that the DfT is not allowing public funds to invest in a study. The DfT are instead asking a voluntary team of campaigners to organise the study funding. Questions must surely be asked why the DfT are not willing to pay for this study. What or who is influencing them not to? Yes, it’s crazy that public funds appear not available for a recommended public infrastructure study, but if this project is to get under way, public crowd funding is necessary … and the process needs to be simple. Periphery costs attributed to legal and professional fees are estimated at approximately £10,000. The total required is £130,ooo before the ARUP study can initiate. 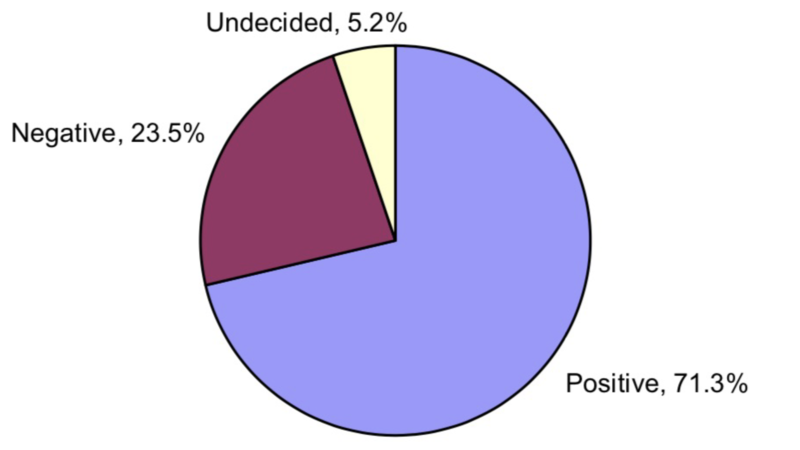 The financial history of the campaign. Pro-Link has banked with Barclays at St James Square in Newport, from the start of the campaign. 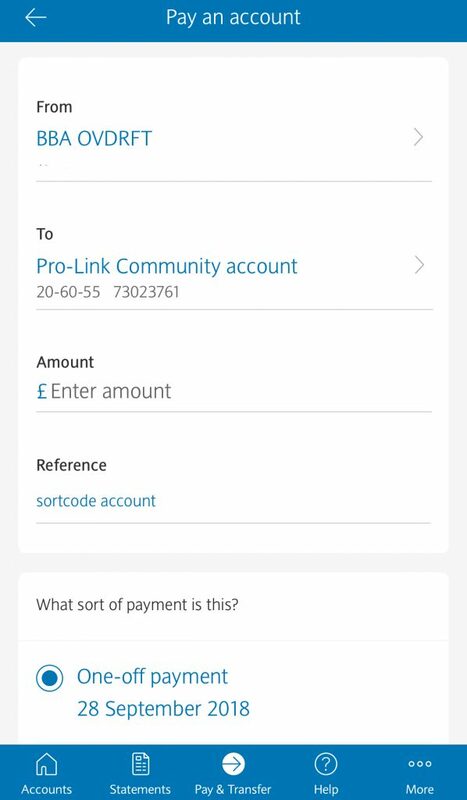 The ‘Pro-Link Community Bank account’ was set up on the 23rd March 2015 and since that date, a total of £3,791.16 was donated to the campaign… mainly through a GoFundMe platform. 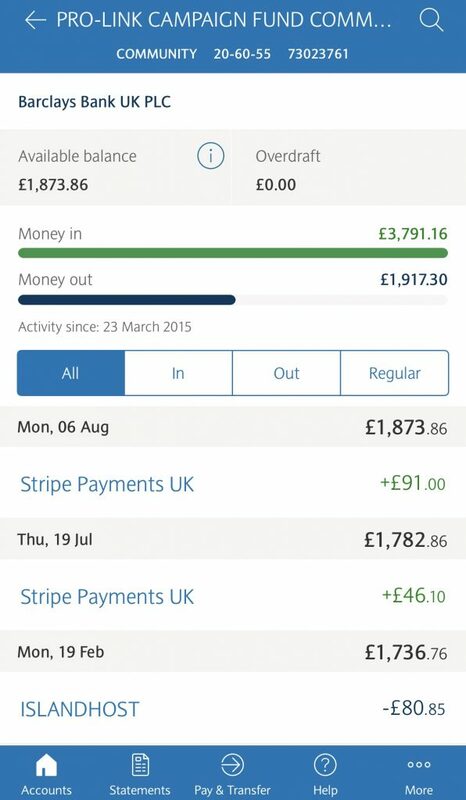 The total outgoings over the whole period till the date of 26th September 2018 had been £1,917.30 with a balance standing at £1,873.86. That residual balance has been added to the ‘ARUP’ study fund. These used funds have paid for car stickers, banners, advertising in the County Press (£600), domain names for the website, stationary, etc and some travelling expenses to mainland locations for meetings. The hosting for this website has been kindly sponsored by islandhost.co.uk since the sites’ inception three years ago. This has been hugely helpful to keep costs to a minimum. The campaign has cost less than £10 a week to get to this stage. An incredible feat in anyone’s estimation. All man hours have been free of charge, from all parties involved. 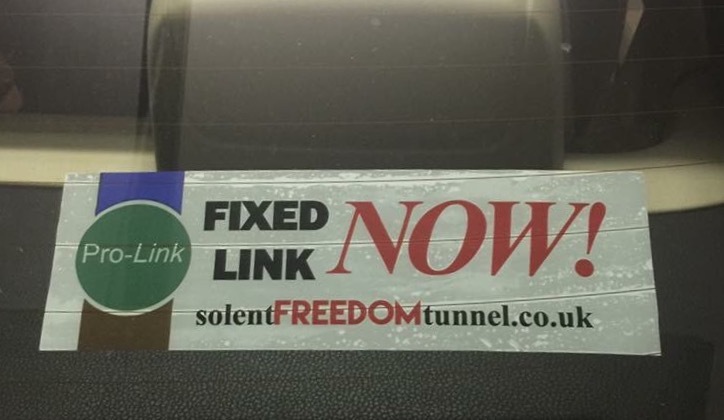 The PRO-LINK campaign has and will always be, for the good of the Isle of Wight as a whole… and not any one individual. What is the best way to crowd fund? Crowdfunding platforms are easy to manage and donate to, but they charge roughly 3% of the donation in fees. For this reason, Pro-Link is recommending direct bank transfer into the Pro-Link Community Bank account. Direct bank transfers offer two advantages over funding platforms. All your donation goes to the cause… with no funding platform fees charged. If you wish to have your money returned for any any reason before the study is procured, you can. 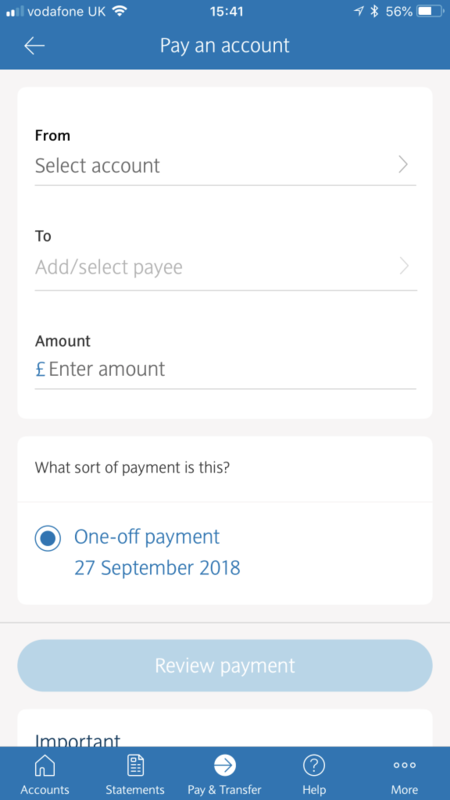 How do i get my money back if required? 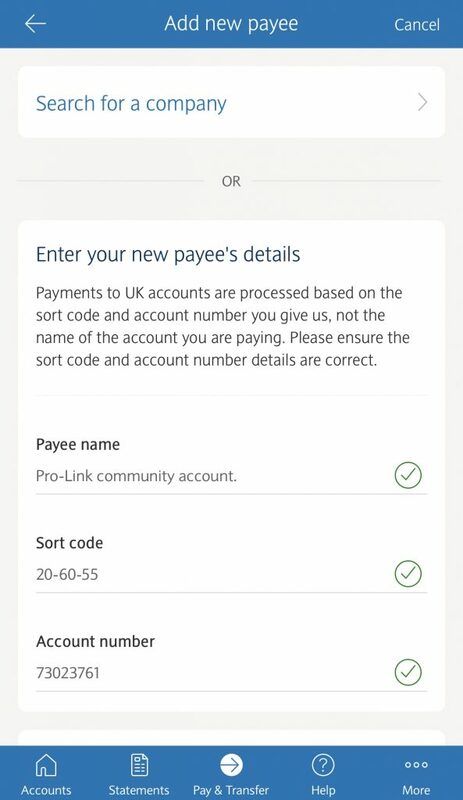 Its simple… just make sure you use the reference section when you make your deposit, to state your sort code first (six numbers) and then your account number (eight numbers). This will allow Pro-Link to understand which bank account the donation eminated from. Those details will give the opportunity to pay it back if necessary. Anyone who omits these numbers will need to prove the source of the donation themselves, or the money will be donated to WightAid charities. 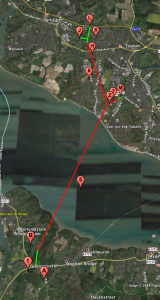 Certain anti fixed link individuals have attempted to sabotage the study fundraising on social media. Potential contributors have complained that just prior to Christmas is an inappropriate time to ask for funding contributions. Many Island businesses have conveyed that Brexit uncertainty has prevented them from contributing to date. Because of these main factors, the time limit has been removed and the fundraising will continue indefinitely until the full amount has been achieved. The Study funding will certainly be achieved… and the study will go ahead. Without this study, the campaign can not continue… it will be highly doubtful a fixed link will occur at all in the future. How do i donate to the study? 1 / Open the banking App on your device or computer and head to the pay or transfer facility. 3/ Enter the amount you wish to donate to the study fund. *Make sure that your bank sort code (6 numbers) followed by your account details (8 numbers) are included in the “reference” section. Then press send. What happens after my donation is received? The ‘Pro-Link Community account’ is the ‘holding bank account’. 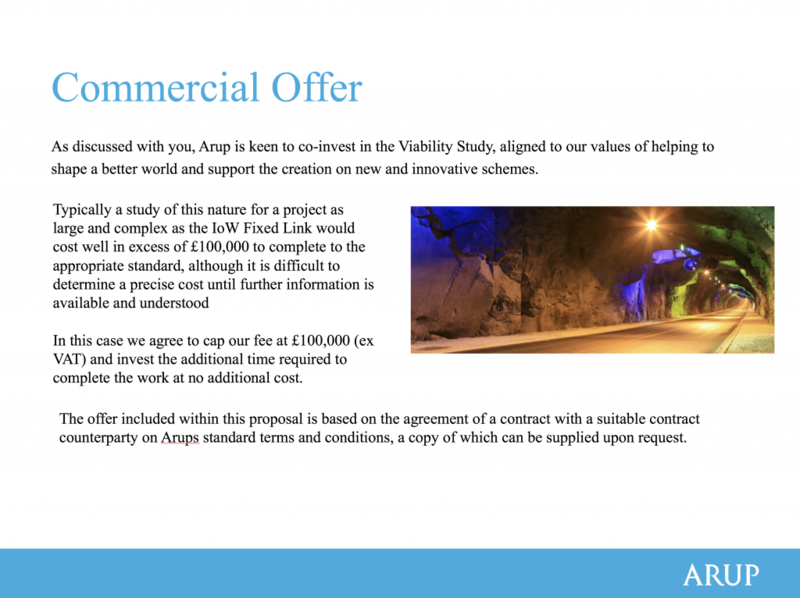 When the complete £130,000 is received, ARUP will be commisioned to perform the study. 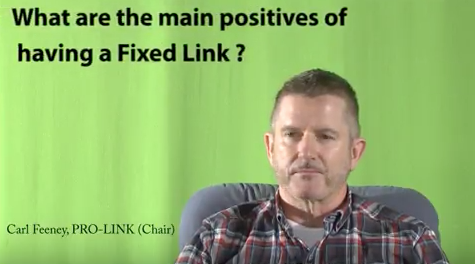 Once the study has been concluded to the satisfaction of all parties involved, the funds will be transferred from the ‘Pro-Link Community account’ to ‘Able Connections Ltd’. Able Connections Ltd as the ‘client’, will pay ‘ARUP’. At regular intervals, the study fund total balance will be “pin posted’ onto the Campaign Facebook Group. The faster the funds are raised, the sooner the study can be initiated. Donators can be anyone or any business… mainland or island based. What if i don’t have a bank account to make a donation? Use the GoFundMe platform … which will direct donations into the Pro-Link Community account. 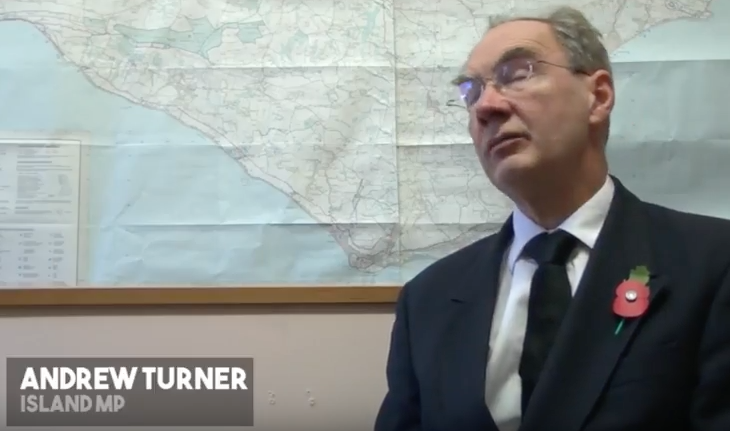 The IOW Council leader – Dave Stewart and Cabinet member for transport – Ian Ward, have agreed that the study conclusions will be presented to the DfT by ARUP, PRO-LINK and the IOW Council, in order to request further advanced studies regarding feasibility and planning implementation. Should the fixed link case is proven, the more intensive studies will be requested to be funded by central government.